Families know how difficult it can be to focus on the basics - working hard, practicing their faith, and making a difference in their community. The model of St. Joseph is helpful to all families as he gives the ideal example of what it means to be a leader who was faithful to the call that God had entrusted to him. We believe that the Pilgrim Chapel will give all visitors to the Shrine a new way to appreciate St. Joseph and have him impact their families. It's more than a chapel- it's a place to visit and be inspired, then returning to your busy schedule with more faith, enthusiasm and confidence. Fr. Guy Wilson shares the story of how the “Life of St. Joseph” Mosaic traveled to the Shrine. The Pilgrim Chapel is much more than just a place to pray - it's an experience. The Chapel features the Mosaic of St. Joseph, a work that tells a story to all who pause and visit the Chapel. To be located just outside the entrance to the Gift Shop, the Chapel is meant to be a a place of respite from the demands of a busy life. 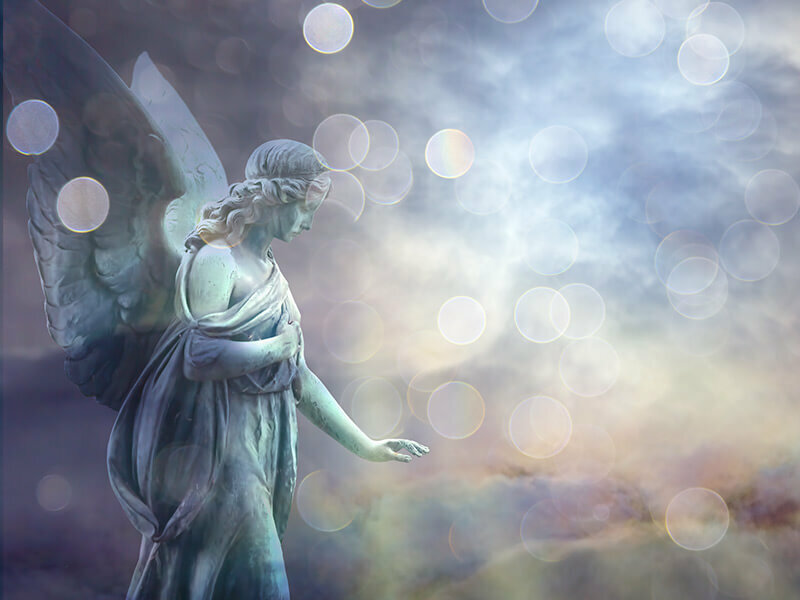 The Society of Angels provides you with four levels of participation so that you can participate in the Chapel's construction. 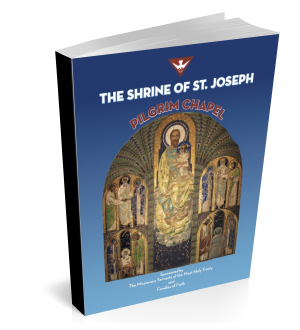 The Pilgrim Chapel brochure provides you with all of the information about the Chapel, including the central feature of the Chapel, the Mosaic of St. Joseph.